How did the Genocide Serial Killing Sicarii Jewish Sonderkommando murder their ten thousands of Homosexuals? 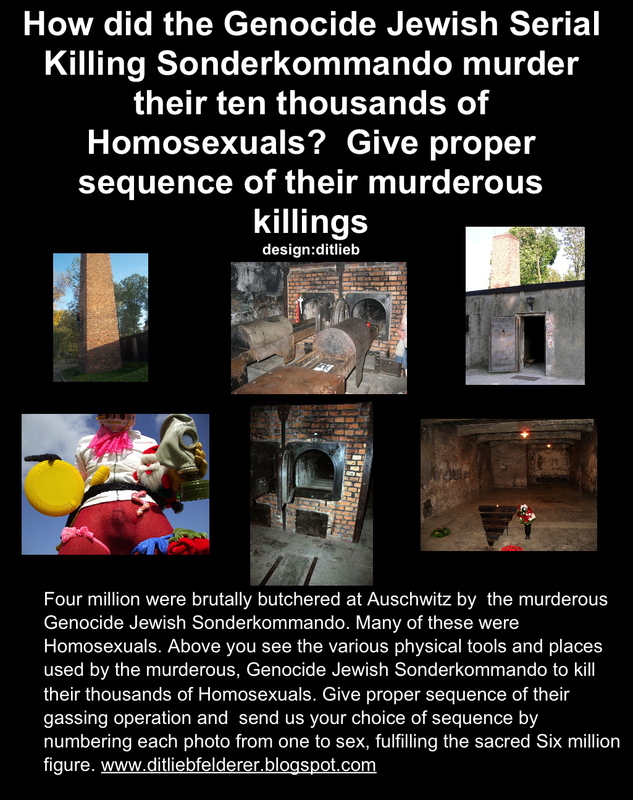 Give proper sequence of the whole Jewish Sonderkommando operation of killing by numbering the steps one by one. There are a variety of tools and places used in the killing of the Homosexuals. Number these from 1 to 6, and send us your expert opinion. Next Next post: Should Auschwitz Vomitorium be made over into Poland’s best Nudist Camp?